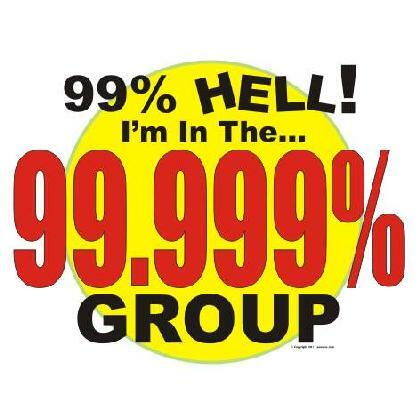 These days you might be lucky to be in the 99% group. 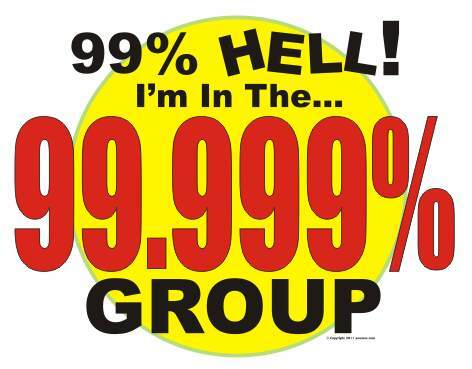 A larger percentage of us qualify to wear this 99.999% t-shirt. High resolution full color, printed on the front of a quality name brand T-shirt.